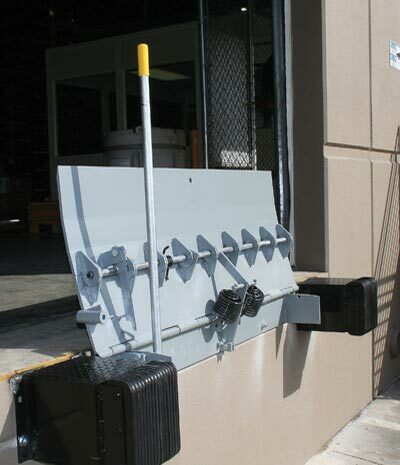 Kelley edge-of dock levelers are an effective, affordable alternative to portable plates. 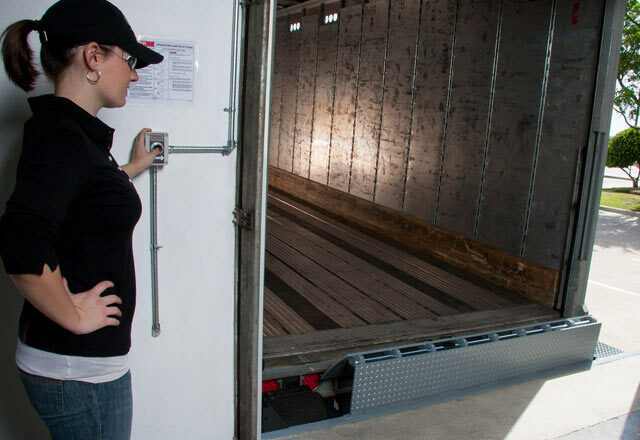 This loading dock leveler mounts to the face of the dock to make loading and unloading trailers easier, and is ideal for medium traffic loading docks. With a simple, push-button style, you’ll get the reliable durability you’re seeking, with improved performance that doesn’t break your budget. 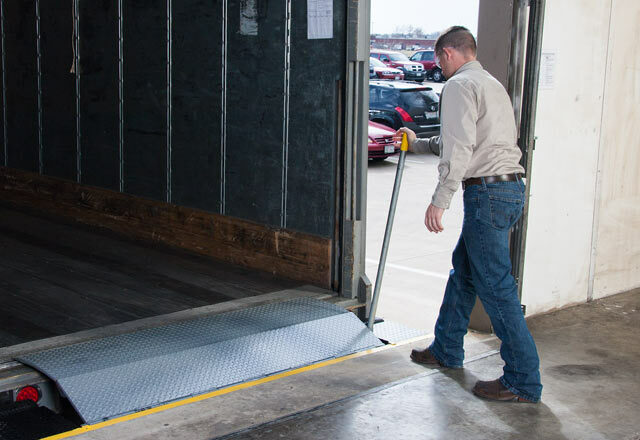 The Kelley mechanical edge-of-dock leveler offers the industry a proven design for durability and performance, including premium features such as EZ-Lift™ spring assist, laminated loading dock bumpers and an integral maintenance strut. Its ergonomic design reduces the lifting force needed for easy manual operation. 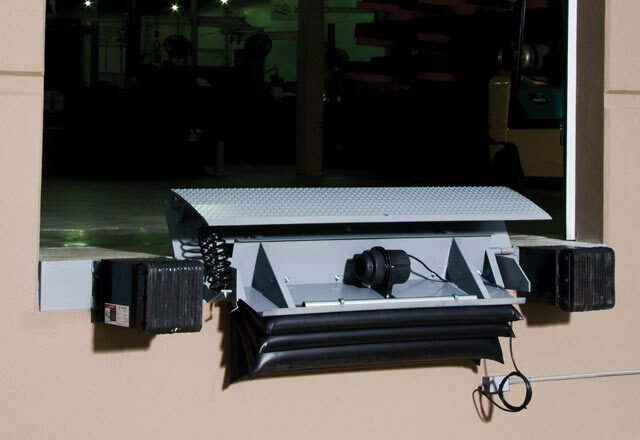 The Kelley air-powered edge-of-dock leveler features patented air bag lifting technology, and its push-button operation eliminates manual lifting. 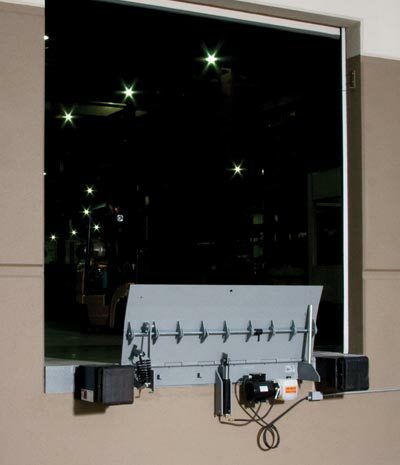 Incorporating superior features such as a lift system that’s fully operational even in extreme temperatures, laminated dock bumpers, an integral maintenance strut, the Kelley air-powered edge-of-dock leveler is designed to provide your loading dock with maximum efficiency, reliable performance and a lower cost of ownership than other edge-of-dock systems. An efficient and reliable hydraulic lifting system and push-button operation make the Kelley hydraulic edge-of-dock leveler a top choice. 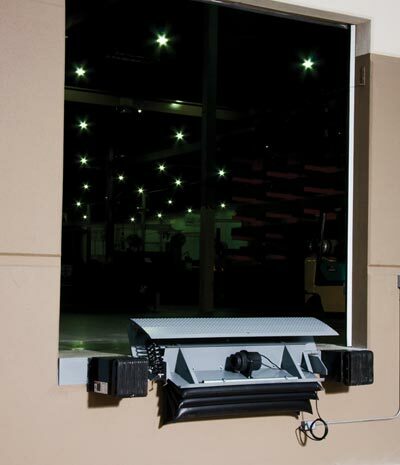 The Kelley hydraulic edge-of-dock leveler includes laminated loading dock bumpers, an integral maintenance strut and all the other premium features Kelley edge-of-dock levelers are known for, to provide superior efficiency, durability and powered performance compared to other edge-of-docks in the industry.